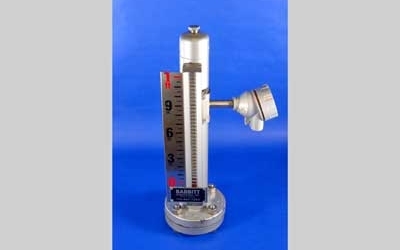 Babbitt Magnetic Level Indicators are a safe, simple and reliable way to measure fluid level inside a tank. These visual indicators are an alternative to sight glasses and provide a non-invasive, low maintenance, cost-effective level solution. They are especially safe for flammable, toxic, corrosive liquids because the fluid never contacts the indicating glass. Should the glass ever break, there is no possibility of leakage. Each Magnetic Level Indicator is custom made to meet your application. LTM 250/350 Hart transmitters and MLS Series alarm switches can also be added. Babbitt Magnetic Level Indicators are custom made based on your requirements. 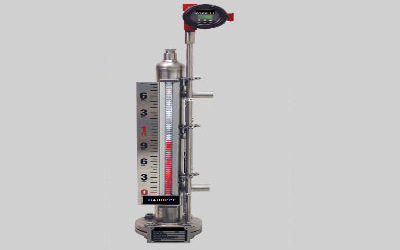 The LT-1 Level Transmitter is designed to be used with the LG Series Magnetic Level Indicators. 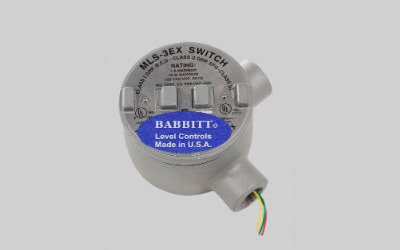 Babbitt MLS level switches provide low-cost, reliable alarm and control functions to meet your requirements.